You are here: Home ∼ Is it Worth Getting the Firenze Card? UPDATE JUNE 2015: I recently returned to Florence, armed with another Firenze Card and I’ve updated this post accordingly: I’ve updated the comparison prices and I’ve updated the details on how easy it is to get into each sight. I haven’t, however, deleted the old information (from 2013) so you can see the difference in the card in two years – there’s been some great progress. Now, I’m going to go so far as to say that you should “almost definitely” get the Firenze Card in Florence…but read on to get the full story. The Firenze Card is a museum pass that allows entry to 72 museums and sights in Florence over a period of 72 hours at a cost of €72. It sounds expensive but with three days of sight-seeing and more than the average number of sights to see in Italy’s most famous Renaissance city, I decided to see if the card offered value for money. For more information on the sights mentioned here, see my related post: 10 Best Sights in Florence. you can consume a large amount of the same thing (the Renaissance) without wanting to poke dry spaghetti in your eyes. for less than 72 hours in the city (Update June 2015: queue jumping has become smoother since 2013 so I now think you could still get value even for a 48-hour visit if you’re on a time crunch, hate queues and want to fit a lot in). 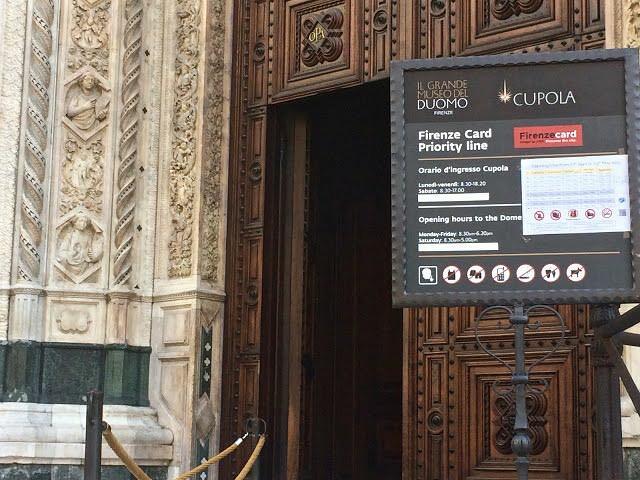 in the hope of jumping the queue to climb up the top of the Duomo – the Firenze Card does not afford you any benefits here Update June 2015: you can now breeze straight to the front of the Duomo queue for the climb to the top. You cannot underestimate how valuable this – queues regularly snake around the building and, worse, the queue is commonly completely halted to allow people time to get up and down the stairs. As you can imagine, this can take some time, making the queue time even longer. Given there are no other options for booking for priority access short of getting Knighthood, the Firenze Card is the one and only priority pass into the Duomo. For me, on a limited time trip, that’s worth the cost alone! Here’s proof – Priority Line with NOBODY in it! Further Update – from 1 November 2016, have to make a free reservation to use your Firenze Card to access the Duomo. According to the Firenze Card folks, “you have to collect the free ticket at the ticket office in piazza San Giovanni 7/r and then to make the reservation on the dedicated screen.” As I haven’t been back to Florence to try this out, I don’t know how easy or difficult this is – if anyone has tried it, do let me know so I can update this section. you are buying it for seamless entry into the sights (frustratingly there is more bureaucracy with the ticket than buying single entry tickets) (Update June 2015: As already mentioned – the system has gotten a lot smoother since 2013 and I didn’t have a single problem getting access. You still have to swap your card for tickets at the Duomo sites, but otherwise the card seemed much better integrated/well recognised by the museum staff across Florence). As mentioned, the Firenze Card includes access to 72 museums and sights. This includes all of the city’s top attractions like the Duomo (and the surrounding sights such as the Baptistry), Michelangelo’s David and the Uffizi Gallery. It also includes access to the main Basilicas (e.g. Santa Croce, where you can see the tombs of the city’s most famous inhabitants including Michelangelo, Galileo and Machiavelli). The Pitti Palace and Boboli Gardens are also accessible with the ticket and when the Renaissance gets too much (there is a limit to the number of Madonna and Child even the most ardent art buffs can stand, I’m sure) there are some alternative places to visit including the Galileo museum and Natural History museum. For a full list of the attractions, see here. Price Comparison: Is the Firenze Card worth it? I have set out below the museums I visited during my 72 hours. Had I bought individual entry tickets I would have spent €75.50 compared to €72 for the Firenze Cost. That looks like a pathetic €3.50 saving!! However, it’s important to note that during most of Day 3 of my Firenze Card I unexpectedly had to work and therefore was unable to get maximum use out of my card. If I had been free for those hours, I no doubt would have increased my saving by at least €10 to €20. In terms of getting easier entry into various sights, the Firenze Card offered mixed results. It was definitely more difficult to enter the Duomo and Baptistry than the standard entry ticket. However, being able to sail into the Uffizi like I was Royalty (red rope removed to grant access ahead of a long queue) and turn up at the Academy without a reservation was almost worth the cost of the ticket alone! (Update June 2015: I didn’t see exactly the same things this time around (though I had my brother and his partner cover some of the old ground for me – they were first-time visitors to the city and also had Firenze Cards). However, doing the same calculation as in 2013, the single ticket cost would have been €84, with a saving of €12. 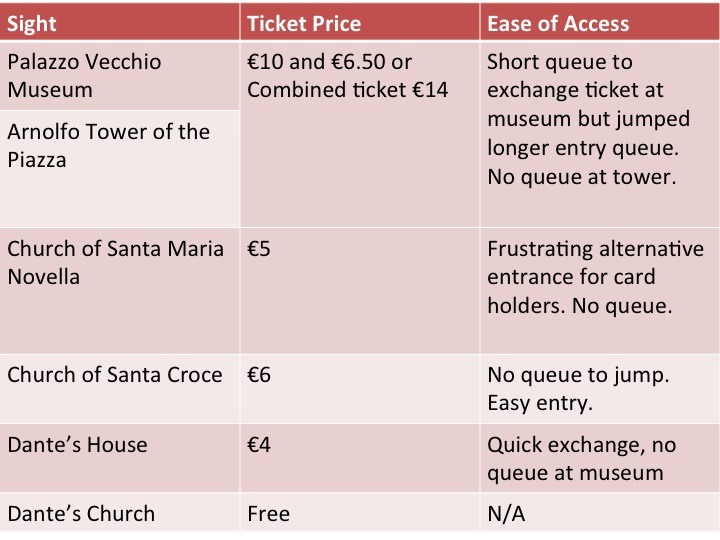 With a €12 saving PLUS priority access into the main sights I’d recommend that almost all visitors would benefit from the card if you’re able to make the most of it (i.e. race around the sights rather than soak up some sun and sip beer all day). Planning your trip: I used the Italy Lonely Planet Guidebook. Although it’s not filled with pictures, it’s got all the details you need including train and bus routes and times as well as city maps. There is also a Florence specific Lonely Planet guidebook, if you prefer. I like the DK Eyewitness Guides for their images and 3D guides to major sites. The Italy version is excellent and you can find it here. If you don’t fancy ploughing through a guidebook, here’s my guide to the 10 Best Sights in Florence (and their less well-known alternatives). In the following tables I show the entry price for each attraction and describe how easy (or not!) it was to access the sights with the Firenze Card. 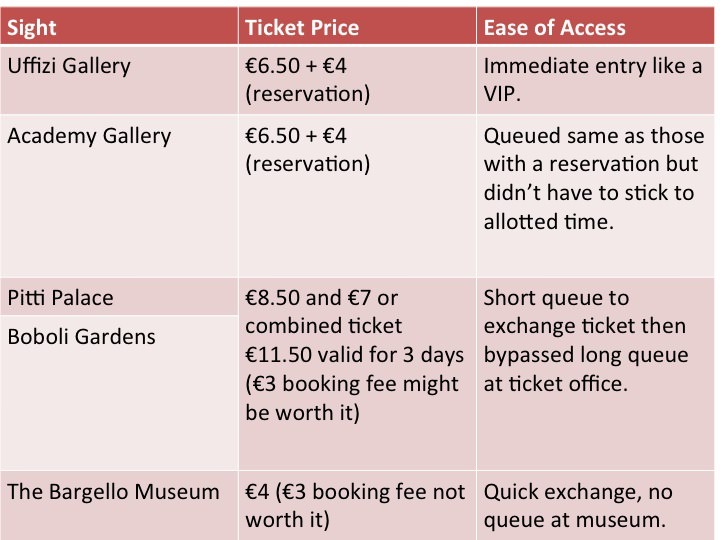 In the overall price comparison total I have assumed people would buy combined (therefore reduced) tickets where available and ‘queue jump’ tickets would only be purchased for the two biggest queues – the Uffizi and the Academy. Update June 2015: All of the prices in the table were completed in August 2013. Where prices have changed, I’ve note this underneath each table. I’ve done this rather than update the tables so you can see the increased value of the Firenze Card, which hasn’t changed price (at €72) since 2013. Update June 2015: You still need to show your Firenze card for entry tickets but you only need to do this once in one queue so it is now a swifter process. But more importantly, you can now get to the front of the Duomo queue (see above). September 2016: The combined ticket is now €15. Palazzo Vecchio Museum and Arnolfo Tower of the Piazza: €10 and €10 each or €18 for a combined ticket. Church of Santa Maria Novella: No price change. Church of Santa Croce: Pricing has become more complex. €6 gets your a fixed date ticket and an extra €1 buys you a fixed time. €9 buys you an any-day ticket, valid within 6 months of purchase. There are no details but I assume you’re only able to enter once on the open ticket. Dante’s House: No price change. Bargello Museum: No price change. Plus Florence: Nice enough place, very swish with a pool, well-priced breakfast and decent location (between the station and main sights). Just beware in summer – think: school groups. Dorms and private rooms available. Going local: on my last trip, I booked an apartment rental through Airbnb, which was a fun way to pretend I was a local for a few days. If you’ve not used Airbnb before, you can get a discount of your first stay with this link. Florence’s Best Hotels: If you’re, after something upscale, you can find a list of the 10 best hotels in Florence (according to Trip Advisor) here with Portrait Firenze comes at the top of the list and is also a winner of Trip Advisor’s Travelers’ Choice Awards (as is Hotel David). Hotel Brunelleschi, with its perfect location, is on my list. For a romantic twist: If you’ve ever read or watched a Room with a View, check out Hotel Degli Orafi where the movie was filmed. I couldn’t get the events page to load but I already have enough to occupy me that I didn’t mind. Not that I was travelling with any, but if you are, there is free entry for any under 18s of the same family accessing the sites at the same time as a cardholder. This is restricted to EU citizens and although I didn’t test it, the pass states that ID is required. The card is valid for 72 hours from start to finish. So, if you first activate it at 2pm on Monday, it will be valid until 1.59pm on Thursday giving a full 72 hour access. Although the ticket is valid for 72 hours, you are only allowed to access each site only once, preventing a slip in and out approach to your site seeing. The Academy and Uffizi are both closed on Monday. This doesn’t need to be a deal breaker. I took the card on a Monday and just had to plan to see those sights another day. Some of the sights like the Science Museum are open towards the weekends only (Wed-Sun), which was a disappointment for me as an early week visitor. Some of the sights close early (before mid-day), so make sure you properly plan your time each day. Update June 2015: This is probably a very specific complaint but I happened to visit Florence over the May 1st bank holiday. In Florence, that meant that around 95% of the museums (my guestimate) were closed for an entire day of my visit. My Firenze Card was provided on a complimentary basis for the purpose of updating this article but my brother and his partner bought their card (at my recommendation) and lost the value of an entire day’s use. There was no mention from the counter staff at the point of purchase that the museums would be closed for a whole day. Our disappointment could have easily been managed with one tip – although the museums are closed for one day, they were open until midnight the night before. We could have completed our museum visits, just on a different schedule. Lesson: check, check and check again the opening times before you buy your Firenze Card. You can check all of the opening times and closure dates via the free app or on the website here. I lived my entire time in Japan in fear that I would lose my $500 Japan Rail Pass which is effectively treated like cash with no renewals, and while €72 doesn’t come close in price, it’s still enough to make you wince if you misplace your Firenze Card over a post-Renaissance-seeing Prosecco – if you lose your card, it won’t be replaced. Oh how I love the Italians and oh how I loathe their bureaucracy, but the sad fact is that you can rarely have one without the other. I bought my Firenze Card online, as many people do. However, I didn’t have easy access to a printer so turned up voucherless. (There are several points around the city where you can collect your card, I made my attempt at the tourist information of the Palazzo Vecchio). The result: the customer service lady’s head spun several times before nearly falling off. She couldn’t fathom what to do with my voucherless request. Fortunately (?! ), she managed to keep her head attached to her body with the motivation of scolding me, “How am I supposed to process this without a voucher? !” To which I replied, unhelpfully, “How am I supposed to print this without a printer.” Stale Mate. To my relief, her colleague stepped in with an eye roll (at his inflexible co-worker, not me!) and suggested ever so patiently that she check the system. A begrudging sigh later, I was given the card. The most frustrating part is that you can buy the Firenze Card around the city without the bureaucracy and if I could do it again, I’d turn up, swipe my plastic or hand over euros and walk away, card in hand. Update June 2015: Although no surly staff was encountered on this trip, my brother and his partner had a bit of a wait before they could buy their tickets. They arrived at opening time (after 9am) but were asked to come back. After a coffee and a bit more of a wait at the counter, they eventually got their cards…closer to 10 a.m. I’m not sure if there’s any solution other than a bag of patience and revelling in the fact that you won’t have to queue or wait once you get the card. There are many entrepreneurial ticketing websites for Florence that invariably include fees. The following are the official sites, which provide the official entrance prices minus a mark-up. For the Duomo, Cathedral, Opera Museum and Baptistry. For the Uffizi and Academy tickets including reservations as well as the Pitti Palace, Boboli Gardens and Bargello Museum. For the Palazzo Vecchio and Santa Maria Novella, Church of Santa Croce and Dante’s House. A further update November 2015: The Firenze Card offering was updated once again, in November 2015 whereby the number fo attractions was increased from 67 to 72 – hurrah! At the same time, free bus use and wi-fi access were removed. In my view, this doesn’t detract from the card – Florence is highly walkable and the wi-fi offering was patchy and unreliable. Personally, I’d rather have more attractions. For that reason, my view of whether it is worth getting the Firenze Card didn’t change following the November 2015 update. Have you used the Firenze Card? 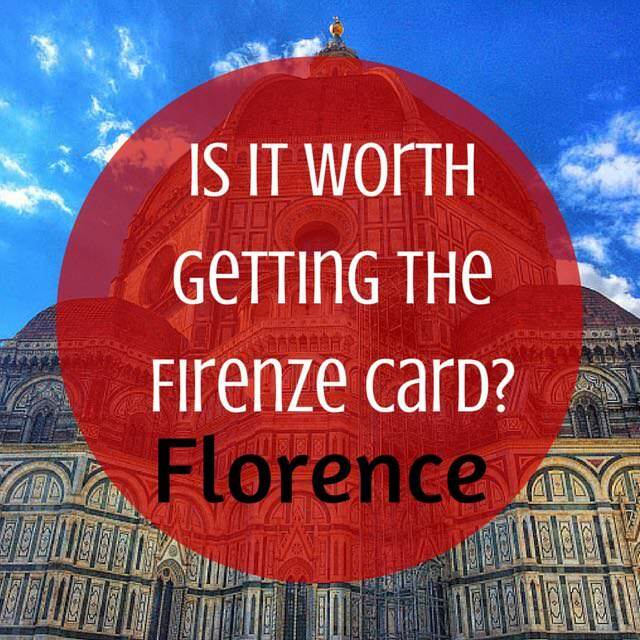 Do you think it is worth getting the Firenze Card? Let me know in the comments below. Firenze Card is, honestly, a huge disappointment. In 2018 it costs 85 euros. You still have to do the line to some of the museums so they give you a ticket so you can access them. Something they don’t tell you about is, if you but the firenze card online, to visit the duomo, cathedral, campanile and baptisterio you still have to stand in line at the info point so they can give you a ticket for them, and, aftewards, you have to do ALL of the lines: hour and a half minimum for the cathedral (which, by the way, it’s free; people stan in line 2 hours before the cathedral, duomo, campanile, baptisterio and Uffizi even open), even if you get the appointment to visit the duomo you have to do a huge line, the line to visit the campanile and so on. It’s, in my opinion,a waste of money. You only skil a few lines to some of the museums, but if you but those tickets online with the reservation you skip the line also. Uffizi gallery also has a HUGE line, even for the Firenze Card. Hi Andreea, thanks for the update. It looks like the card has declined a bit in usefulness while increasing in price. I’m going to try to return to Florence this year to update this pst. In the meantime, thanks for sharing your experience. I’m due to go to Florence next week, Monday the 23rd of July 2018, I was going to purchase the card from your recommendation but it now costs 85e, I’m not sure now if it’s worth it. what do you think? Hi Aine, I’m in the process of updating this post and in the meantime I sent you a private message. I live in Florence and the time limit of 72 hours is ridiculous.The museums are not opened 24 /7 and you don’t really have the 72 hours the card claims you have, so you are rushed and exhausted.There is nothing worse than running around breathlessly trying t see everything before the clock runs out on you.If you are on vacation why would you wish to stress yourself out by adding another deadline to your life.Consider the cost / benefit analysis not just the cost aspect of your trip. Hi Joseph, some people have more energy than others and a 72 hour dash might be a fun experience. Also, it’s about value for money. From my experience, you start to save money way before the 72 hour period is up if you plan on visiting a lot of museums in Florence. Sure, if your plan is to spend eight hours a day eating (four hours for lunch and four hours for dinner is both perfectly doable and a wonderful way to spend your time in Florence) the card probably isn’t for you. Above all else, as I mentioned in my post, using the card to queue jump is worth it for its time-saving value alone, IMO. Thanks for the update, Amjen! Thanks Jo. Very useful information. I’m glad I found this site. Me and my partner are visiting Florence in August for the first time but onlu staying for 2 days. One day is for Tuscany trip so that leaves us one day to do Florence city. Was thinking of getting the Florence card because we wanted to climb the Duomo without lining up. We also want to see the Opera Museum and the Baptistry. Do we need to line up twice for each of the attractions especially the Duomo climb (one to get the tickets and one to get to the entrance of the Duomo)? Our reason for getting the card is we cannot book tours to skip the line for the Duomo as the times available do not work with our schedule. We just wanted to see the David, climb the Duomo, visit the Baptistry, Opera Museum, see Santa Croce, Pitti Palace and maybe a few other churches. We don’t have much time in Florence so we don’t mind paying for the extra cost for a Firenze card as long as we don’t queue at the Duomo and the Academia. Your inputs will be greatly appreciated. Thanks. Hi Glads, I’m SO sorry I didn’t reply sooner. I’ve been overwhelmed with comments recently and as I try to reply to every single one, it left me a bit behind. I hope you had a great trip to Florence. What did you decide in the end regarding the Firenze Card? Many thanks for the updated information about the Firenze card. It has reassured me about the problems I have noted in a lot of old forums. We will be going ahead and purchasing the card for our three day trip in July. Very practical information. You may have mentioned this elsewhere in your blog, but when my wife and I stayed in Florence we stayed in a convent, booked thru monasterystays.com . In Florence we found Istituto Suore di Santa Elisabetta was great. I see their prices are about 80% higher than in 2011, which may be true everywhere. Thanks David, I’ve used Monasterystays before and really love the idea – the accommodation can be a bit sparse for the price, but it’s the experience you’re paying for! Hope you had a great trip. Very useful article. My husband and I are headed to Florence next weekend [Feb 12 – 15 2016]. Are still planning out our trip but the info you covered in regards to the Firenze Card will definitely help in deciding whether this is the right option for us. Bummer about the public transit not being included at present!! Thanks for all the info, Ciao! Meredith, glad to help and I hope you had an amazing trip! Florence is very walkable so hopefully the lack of public transport wasn’t too big an issue. collect the free ticket/purchase a reduced/full ticket to visit the other museums, according to the various museum admission rules. 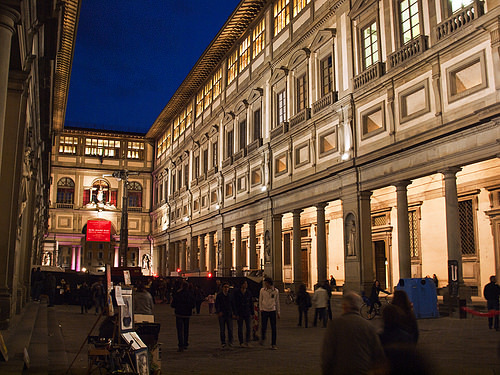 When she has to collect a free ticket or purchase a reduced/full ticket at the museum ticket offices (other than civic museums and Uffizi and Accademia Gallery), they are usually through a priority line since you have Firenzecard. If I am reading the above wrong and my daughter will need to wait in a line for tickets at the big busy sites to enter priority with us, then I would likely just get her a Firenze card as wel. 1. After you get your combo ticket for Duomo sites, are the only good for that day? Or can I use the Duomo dome climb ticket one day and decide to use the ticket for the Duomo museum another day? 2. Skipping the Duomo line for the Duomo dome climb sounds great, but does that just skip that outside line and then place you at the base of the stairs in the rest of the line for the stairs? If so, about how long does that line take to get you up the stairs and to the top of the dome? Or does that line skip get you up a separate stair case so there is no wait at all? 3. Do those Duomo dome climb lines typically get long right at opening or later in the day? I am considering doing the Accademia first at 8:15 and then hitting the Duomo sites afterwards (9:30/10:00am or so?) but didn’t know if the Duomo sites would likely be overrun by then? Thank you so much for taking the time Jo….I appreciate it! That’s my reading of the Firenze Card rules too but I would recommend taking a print out (in Italian) of that part of the website to use in case you get questioned. The staff have got a lot better in recent years at knowing the Firenze Card admission rules so I think you’ll be fine. As for the Duomo ticket, from memory and checking on the Duomo website, you have to use all the parts of the ticket within 24 hours. If you don’t want to see all parts in the same day, pick it up late in the afternoon and you’ll have the morning the next day. However, it’s a nice group of sights to see in one day. In terms of the climb, once you get into the duomo line inside, you’re pretty much steps away from climbing so you won’t be queuing very long (at all). Queues are longer from around 10am until after 4pm but with the Firenze Card you literally will sail in so I wouldn’t worry about getting there at a particular time. You might, however, want to do the Duomo climb first, because once you’ve climbed up, you’ll be pretty much done, which is better than feeling rushed around the Academia, conscious of getting to the Duomo. Very helpful, thank you. As of 01 November 2015, the card no longer provides for buses and wifi is no longer available, according to their website. Thanks Shelley – the lovely Firenze Card folks contacted me too to let me know…full update coming soon! Shame about the buses. We did use it a few times on our Firenze Card, especially to Piazzale Michelangelo. However, the day that when we really wanted one, when it was raining and my knees were really aching everyone pushed in front of us and we didn’t get on, so we ended up walking anyway, via a few bars of course. Great article. Thank you very much. Can anyone reading this tell me if you know. We have one minor son (he is 16) and there are four adults traveling together plus my son. If we buy the pass (we are in Florence for 3 full days) can we use it to get into the Uffizi Gallery on a free day – to get to the front of the line? AND Can my son walk in with us? Hi TheArroyos, here’s what the Firenze Card site says: Do the people under 18 years old need to buy the Firenzecard? So, if under 18 and from the EU, you should be able to take your son in with you. If you’re not from the EU, you’ll need to buy him a card. Hope that helps. Our family will be in Florence this July (for 3 days) and I am weighing the pros and cons of the Firenze Card. We have 3 children under the age of 18 — would it be worth buying each of them their own Firenze Card so we could all jump lines together? I am unclear on what is free for non-EU resident children. Also, we are traveling with grandparents too — so avoiding long lines is a priority for me. Hi Alison, sorry for the slow reply. I’ve just updated my post about the Firenze Card and both the value and ease of use have increased so generally I would recommend getting the card if you’re in Florence for 3 days. I don’t believe there is any free entry for non-EU children so I’d recommend getting them cards too otherwise you’ll end up with vastly different experiences – you will have been in and climbed the Duomo and had time for a gelato by the time they’re half way through the queue. Hope that helps! Thanks Jo — that helps a lot! I have loved reading your articles; they are so helpful! Also, one more question, would you recommend buying the cards (vouchers) ahead of time online? Does that save any time once we are in Florence? Alison, I’m just trying to visualise the exact queues in the collection point and I believe there is one for collecting pre-bought cards versus the queue for buying them on the day. I think you’d only need to stand in one queue if you bought on the day. Same if you buy in advance. My brother bought on the day and was asked to come back later (we never understood why). So, on balance, I think you’d be better buying in advance and collecting but ultimately it will depend how many people are in each queue on the day, which you can’t predict. Hope that’s some helpe?! 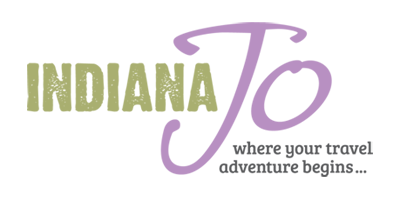 An extra tip (because I still need to write about this) but if you’re looking for a good restaurant recommendation, try Le Fonticine (the restaurant name and .com if you’re looking online) – it’s a restaurant I’d fly from another country to eat at. The waiters can be a bit stiff but the prices are good and the food excellent! Enjoy your trip. Thanks so much — I purchased our cards today! So excited for the trip! Le Fonticine sounds perfect. We will be sure to try it! Yay – how exciting! Hope you enjoy Le Fonticine. The boar ragu and pappardelle is my favourite. And say thanks to your kids 🙂 Search the web – someone actually wrote an article about whether ‘Indiana Jo’ has to be from Indiana!! I must get myself over to Indiana some time! Hi Jo, I have two questions. Entrance into the Cathedral if free, but can I still jump the queue with the Firenze card or does this only apply at places where there is a queue for tickets. Also would I need to visit the San Lorenzo Church and Medici Chapels at the same time, or do they have separate entrances. I don’t really want to pay for a second visit to the church in order to see the chapels if I didn’t see them on my first visit. BTW, this is great site. Exactly what I needed for my visit to Florence next month. Thanks for your questions about Firenzecard on Jo’s helpful blog post! The queue juming at the Duomo is official: YES, you do have a right to skip the line here, at the Uffizi and the Accademia. You must go to the ticket office located in piazza duomo FIRST, get your ticket, then go to the specific Firenzecard line walking right past all those people baking in the heat waiting to go in. San Lorenzo church and the Medici Chapels have separate entry fees and ticket offices, but if you have Firenzecard of course you get into both of them using the card. Neither tend to have line-ups. So indeed, you can go to one and not the other, or both at different times. Hope that helps! If you have further questions feel free to write us a tweet @firenzecard or a message or public note on our fan page. We would to inform you also that starting from 1st of August 2014 you need to go to the Firenzecard dedicated ticket office at OPA Art and Culture Center, in piazza San Giovanni 7, to collect the free apposite ticket to visit the OPA sites of the Firenzecard Circuit (Giotto’s Bell Tower, Dome, Baptistry, Crypt of S. Reparata and Opera di Santa Maria del Fiore Museum – this museum is temporarily closed because of restoration works), because of reorganization of the Great Museum of Duomo ticketing system. You have to put this ticket in the automatic turnstiles. Hey Firenze Card, thanks for the update! It makes me want to return to Firenze and check out the new additions…maybe I’ll take a return trip next year! I used the Firenze card for three full days (20-22 Jul). No lines, no booking times, just 20 minutes waiting out of Academy Gallery. Prices as in the article ( but 15€ Uffizi and Academy – temporary (??) exhibitions). Of course we saved money and the card pushed us for more visits. You can visit all the sites without using transportation (we used the free transortation during evenings) but I can’t write for the WiFi because I did not try to login. I strongly recommend the Firenze card. You will appreciate it when you see the waiting lines. PS Florence is a great place for spending your leave there. I will be back soon. Chronis, great to hear that the Firenze Card is just as good value now as it was when I tried it. And I completely agree that skipping the lines is one of the best parts about it! Thanks for taking the time to come and report back on your trip. I think from all the posts that the card could be over kill for us. We arrive in Florence on a Thursday afternoon, and fly out super early Sunday morning. So truly we are able to tour for 2 full days. Card is valuable if there are 3 full days to tour. My thought is that it would just be convenient for busing, elimination of lines, and maybe pushing us a bit to see more attractions. Waffling here. Added up entrance fees for the “sure thing” attractions, and it hits about 60 Euros, but doesn’t include buses. I have a totally separate question though! Staying in the Oltrarno district and need to get to airport at 4:30 am on a Sunday, suggestions? Taxi? Buses run that early? Kathleen, thanks for stopping by. In terms of the Firenze card, if you’re not on a tight budget, I’d suggest spending the extra €12 each to get the card because I’m sure you could break even by squeezing in a couple of extra sights and, most importantly, perhaps seeing something beyond the biggest hitting sights in Florence. If your main motivation for considering the card is the bus, I’d say don’t bother because most of the sights are easily walkable. I only took the bus once from Piazzale Michaelangelo (but I’d been staying up there and was tired of the constant walk up and down into the town). As for getting to the airport, I believe the shuttle only starts at 6am and as there is no bus, your only option is going to be a taxi. However, at around €20 (plus bags), it shouldn’t be too costly. For such an early flight, I often consider an airport hotel but given the airport is so close to Florence and the hour (when traffic should be light), I doubt it would buy you that much time and you’d loose your last night in the city. Hope that helps. Come back to me if you need anything more. with Firenzecard you can take free also the city public transport (Ataf buses and tram) for 3 days. So you can take the bus ataf n.12 if you want to reach Piazzale Michelangelo or if you need to move in and around the city. Please don’t hesitate to contact us for further information writing to info@firenzecard.it. You are our Italian Guardian Angel:) Thank you so much for your caring and guidance. We will be in Florence around the second week of Sept. We are celebrating our 31st Anniversary year. We are starting our trip in Venice 3 days, then training it to Cinque Terre 2.5 days, then picking up car from Pisa and spending 3 days in Agitourismo in Rapale before Florence. Our question involves this portion of the trip…. We will be travelling from an Agritourismo in Rapale (having stayed and toured around there for 3 days) and then we have to return the Hertz car to Florence. After returning the car to Florence, we would stay in Florence for 2.5 days near Via G. Giusti. I apologize for the number of questions, but they are all related to one another and I’ve researched as much as I can..I think I need your expertise please. 1. Approx. how long to drive from Pisa to Rapale without stopping? (having already seen Pisa and Lucca) Does 2hours sound right to you? 2.. Leaving Rapale, what is the safest and most efficient way travelling by car — the actual route — to get to a Hertz to return the car in Florence? Our thoughts were if there was a Hertz somewhere south of Florence, like in a suburb with train access, we would drop it off there and then take the train in since it would be less stressful than the city center or airport. When I called Hertz, they cannot seem to answer my question. They say that they cannot search according to directionals, but only by city?? So, they have 2 locations in city center, and one at airport for Florence. 3. Wondering if there is a suburb where we can drop off car hassle free and start our lovely vacation in Florence sooner, or what to do? I realize you don’t work for Hertz, but you may know of other close locations where people have dropped off rental cars before. Otherwise, we have made a reservation for drop off at the Florence airport. Should we take a cab — if so, how much directly to Via G. Giusti? 15E? Can we take a train from the airport? — if so, how much and how long to destination? Can we take a bus from the airport? — if so , how much and how long? I hope my questions help others who are traveling from the countryside and needing to return a car to Florence. My husband and I are travelling to Florence as part of a bigger trip in mid-Sept. I am soooooo confused about the Florence card. You gave a fantastic description with your chart and with details. 1. If I make a reservation only, I have to go with the reservation to Gate 3 and wait to get a ticket. Then, go wait in the ticket holders line (Gate 1) until I can enter. If I have the Florence Card I still have to wait in Gate 1 with the ticket holders. Granted, I don’t have to go to Gate 3 first, but still wait in Gate 1. My understanding from your experience was that you just walked up and went in – brava! So, I’m confused based on what the Italian office was telling me. Did you wait in a Florence card line? Did you wait in Gate 1 with ticket holders line? Where did you go exactly with the card? 2. Can a person with a Florence card make a reservation as well for Uffizi and Accademia? I thought the perk of the card is one doesn’t have to make reservations on any day. However, can a person make a reservation and thus diminish wait time ? Please clarify as soon as you are able, for I would like to secure reservations if needed. Also, would you recommend prepurchase of the Florence card, or since it’s non-refundable then just buy it in Florence. If so, where? Grazie mille and thank you for sharing your knowledge with so many! Hi Donna, I’m glad you found my article on the Firenze Card helpful. In all honesty, I didn’t pay much attention to the gates when I was at the Uffizi. I saw a long line, didn’t feel motivated to join it so thought I’d try my luck at waving my red Firenze Card around. I went up to the front of the queue and the guy opened a roped off area and let me straight in. In hindsight, I guess this was gate 1 and as nobody was in Gate 1, I strolled straight in. I did visit around 7pm at night, which will probably explain how I got straight in. In terms of Gate 1 and 3, I presume that it is the same at what I experienced at the Academy (for David). There is a queue for reservations (gate 3 for Uffizi) and a queue for Firenze Card holders. In reality, the queue for card holders is likely to be much smaller than the queue for those with reservations. I had to wait around 5 minutes to get into the Academy in the Firenze Card queue against an estimated 30+ minute wait for the reservations queue. I suspect, worse case, it will be the same with the Uffizi. In terms of making a reservation with the Firenze Card, I don’t believe it’s possible…because it is not necessary – it is absolutely your quickest route into both the Academy and Uffizi. If you happen to visit at the same time as other card holders, there will be a small wait but nothing compared to simply turning up and getting in line – i.e. probably not even long enough for a gelato to melt! As for buying the card, I’d do this in Florence when you arrive. There are multiple places you can buy it but then you need to get it validated. I did this at the Palazzo Vecchio and it took under 15 minutes in total. (Here is a map for where you can collect your card in Florence: http://www.firenzecard.it/index.php?option=com_eventifc25&view=eventifc25&task=mappa&tipo=pdr&Itemid=118&lang=en). I hope that helps. 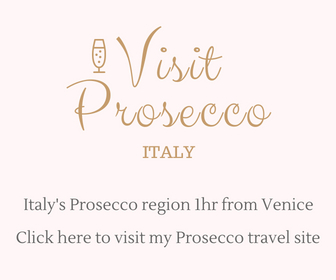 I’ve also just messaged the lovely Firenze Card people to see if they have anything to add! Jo’s answer really is great, as is this post. As an official representative of this card I can say that it will allow you to skip the lines at the Uffizi and Accademia (you may still wait a few minutes, but never in the long line). This means that if you decide to get the card, you don’t have to reserve. The various entrance gates are less confusing when you get there than it seems when they try to explain it on the phone, or if you see it written somewhere. Believe me when you arrive at the Uffizi it will be clear! Facing the arno, if you have to pick up reserved tix you go to a door on your right, and then stand in a line on your left. If you are using the Card, just march up to that left door and wave the red card and it’s holder at the guys and they will help you! Hey Firenze-Friends, thanks for the kinds words about my post and, as ever, for stopping by to share your wisdom, expertise and general wonderfulness with my readers! I couldn’t agree more about the gates and queues. I didn’t even notice that there were different numbers etc. It is so much easier in practice. Thank you Jo for your reply! They are both full day tours. I’m concerned about burnout too, but I think we’ll be okay! Thanks again! Kim, maybe set aside some time to rest when you get home 🙂 Italy has an energy (and enough expresso) to keep you going I think! My friend and I are going to Italy in July. We’ll arrive early on a Thursday by train and plan to spend the day sightseeing. The next day we are taking a bus tour so not much Florence time available. Saturday we have the entire day to explore. Sunday w are planning another all day tour outside of Florence. Then Monday we will take the train to Rome, earlyish most likely. I am leaning towards getting the card even though we don’t have a full 72 hours to explore because I think it will help us make the most of our time, skipping lines and such. Would you recommend it? Kim, I had only 2.5 days to explore and found the card to be good value so provided you are prepared to cram in two very full days, I think it can work out to be a good option. In particular, I found that by having the card I encouraged myself to do more and see more, which I wouldn’t have done has I been paying for separate entry. I think a lot of it will be in the planning and making sure you know before you arrive what you want to see, where it is, the opening times etc so you don’t spend the first morning planning. I’d also think about how busy your non-Florence days will be. Are your bus tours relaxed or full-on? I ask because you don’t want to get burned out. I can probably sustain 3 or four days of non-stop sightseeing before I simply want to sit and sip coffee for half a day. Something to consider. Hope that helps! Hi Jo, I’ve read your posts several times trying to plan my trip to Florence next July. I’ve extracted useful information for what is “must” and what “should” avoid. A question, what if my wife has free entrance? How can we combine my Firenze card with her free pass? Does she has to book the time entrance and I have just to follow her? Does she has to wait in the queue? Any other recommendation? Chronis, glad you’ve found my article and comparison useful. Under what scheme/system does your wife have free entrance? I ask because I’m not sure whether that means she has free standard entrance but not “VIP” style entrance where she can simply walk in? That being the case, I think you should be able to have a reasonable seamless trip using her free entrance and your Firenze Card because there is usually limited time to wait if she books and you go along at the same time-slot with your card. From memory, I believe the Firenze Card line for the Academia was shorter than the booked time slots, so you may have to wait for her for a little while, but otherwise I think you should be able to time it well. Hope that helps? Thanks, my feedback in the end of July. Enjoy the summer. Thank you for the detailed info on the Firenze card! My husband and I purchased these cards in Florence when we arrived at the train station. Even though we only used 70euro worth each in our three days there, we loved not waiting in line!!! Even at the Domo, after we had to stand in a short line to print off a seperate ticket (they should work on that;-)…it was a bit confusing). Once we received our ticket, there was a seperate line for Firenze card holders. It saved us a ton of time! We also used the bus everyday several times to go to and from our hotel, that was located out of the city center. My husband used the free wifi spots…that helped quite a bit when we needed to get walking directions to our next attraction. I liked having an all-in-one pass! However, would definitely not recommend it if you couldn’t use it for the full 72 hours! Thanks, Andele – great to know you found my article and also the Firenze card of great use. Yes, the Duomo ticket exchange can be complicated. The lovely people from the Firenze Card stop by on this page from time to time and already noted my similar comment on this point so hopefully it will get improved soon. Otherwise, great feedback about the card. I’d definitely consider taking it a second time just to try some of the smaller sights! Dear Mrs. Bauwens and Mrs. Jo, with Firenzecard you can use free the city public transport (Ataf & Linea buses and tram) for three days. So you can take free the Ataf bus n.7 from Florence to Fiesole and from Fiesole to Florence. We recommend you to validate the bus ticket (inside the Firenzecard kit) when you will take the bus or tram for the first time. With Firenzecard you can visit free also the Archeological Area and Museum of Fiesole and the Bandini Museum in Fiesole. As ever, my Firenzecard Staff friends, your advice and insight is much appreciated! Van you tell me if THE bus from firenze to fiesole is also possible with THE firenze card? And THE entrances to THE museums at fiesole? We just came back from a 4 day visit to Florence, it was our first time. Thanks to your informative website, we had decided to buy the Firenze Card and we were very happy with that. There were long lines for many of the sights, but we hardly had to wait, maximum 5 minutes to get in, thanks to the Card. Everywhere we asked directly to someone working at the place how it worked with the Firenze Card, so it was very clear what to do and never confusing. We booked the card in advance and changed our voucher at the airport tourist information, which worked well. Thanks a lot for all the information and indeed Florence is a great city, especially with the Firenze Card. Hi Marja, so glad my article was of help and also thanks for coming back here to share your experience – I know other readers will find it really useful, too. I hadn’t realised you could pick the card up at the airport – great tip. Pleased you had a good time and thanks for the greetings from Holland. I recently visited for the first time and loved your country! I have a question about Firenze card during May 1 public holiday. Knowing that Firenze cad is good for 72 hours, and May 1 is a public holiday. If I purchase and start using Firenze card on April 30, Does that mean the card will be expired on May 2 or May 3? thank you in advance and for so many very useful information on this site. the Firenzecard is valid for 72 hours and its validity can’t be extended. If you activate your card on April 30th, it is valid until May 3rd at the same time. On May 1st you can find open many museums such as Santa Maria Novella, Palazzo Vecchio, Tower of Palazzo Vecchio, Casa Buonarroti, Casa di Dante, Opera di Santa Maria del Fiore Museum, Synagogue and Jewish Museum, Palazzo Strozzi e CCC Strozzina, Basilica di Santa Croce, Baptistery, Giotto’s Bell Tower, Brunelleschi’s Dome, Archeological and Civic Area and Museum in Fiesole, etc. Thank you for all this information about the Firenze Card. In your price comparison chart, are the ease of access comments for peak summer season? Also, what do you think of guided tours? Any tour companies you’ve used or recommend? Hi Lilianne, I’m glad you found the article helpful and yes, the ease of access does relate to peak summer season. I visited in August last year so probably as busy as the city gets! I didn’t take any guided tours though I wish I had booked a tour for the Palazzo Vecchio, where you can gain access to hidden passages. Also, the Vasari Corridor, which you can’t enter without pre-booking a tour. Beyond that, there are many tour companies to choose from. I haven’t used them yet, but next time I’m in Italy I’d like to try one of the Walks of Italy tours – they get great reviews and I know other people who have taken their tours and were really pleased – the food ones especially look great if you’re into that as does getting night access to see David: http://www.walksofitaly.com/tour_bookings/tour_listing/2/2. Hope that helps. Fee free to come find me on my Facebook page and post some pics if you want to share after your trip! https://www.facebook.com/indianajoblogs And if you’ve found my tips helpful, I’d always appreciate it if you wanted to recommend my site to your friends! Enjoy Italy! hello jo, i’d like shortly introduce myself. I’m from Florence, born downtown. Such a good impression to see your blog. Right hints for US visitors especially. As an italian who has spent some time in USA and Canada, i do perfectly understand your wise infos. and about Florence, my hometown, and its museums, 3 days and the Florence card sometimes are not enough. To use it is convenient, cheaper sometimes, but to plan what you really want to see it clashes with what your instict tells you when you’re there. So, and i finish, i’d like to share with your friends and you some friendly tricks to say thank you to all those americans and canadians who’ve been so gentle with me while i was living there. Fabrizio, thanks for the comment and kind words and I’m pleased you like my blog. I’ve rather jealous you get to call Florence your hometown. I agree that three days is not enough to explore all of the museums and sights. Even on my third visit I felt like I could have stayed much longer and still not seen a small percentage of what I wanted to explore. I guess I must return! Any tips always welcome. I have a question: If you buy tickets individually from the museums direct website (Uffizzi, Accademia, Bapistry, Bell Tower, Dome) – but ahead of time on-line – can you avoid the queques? Hi Nancy, you can pre-buy tickets for the Academy and Uffizi that will allow you to cut the queues. The Duomo, Baptistry and Bell Tower are different – a pre-purchased ticket will allow you to avoid the queue for buying a ticket (from a separate office) but it will not allow you to jump the queue at the sights. I’d say it probably is worth buying the advance ticket for the Duomo, Baptistry and Bello Tower to avoid at least one queue – though my friend turned up at the office and queued for less than 15 minutes. 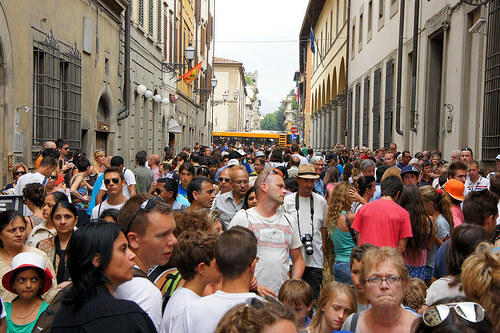 The queue for the Duomo (dome) is unavoidable with ALL tickets and passes. There were minimal queues to jump at the Baptistry and Bell Tower when I was there. Hope that helps. My wife and I are headed to Florence in April, we’re considering purchasing the Firenze card but are wondering how much time we should allow at these places. For instance should we plan to spend the day at each of the more well known sights, Il Duomo, Uffizi, Academia, etc. or is it possible to do a couple of places in one day? We’re planning on spending three days in Florence and are trying to balance the cost of the card vs. individual tickets but are not sure we’d be able to see all that it (the card) has to offer. Any thoughts, insight, etc. that you can provide will be helpful. Thank you in advance! Hi Tom, that’s a bit of a tricky question because it will depend on how long you like to stare at each picture. However, as a general guide I’d say you can definitely do more than one sight each day. The trick, in my view, is combining different activities. So, you’ll spend a lot of time queuing at the Duomo, but can whizz into the baptistry relatively easily, so they are quite good to do together, perhaps with one of the smaller museums like the Bargelo (one of my favourites actually). The Academy I spent about half a day at – it’s pretty tiny, but I lingered. I visited the same day as going to the Boboli Gardens for a picnic, which was a nice contrast. The Uffizi is gigantic! The stronger willed could well spend a day there. I was spent after a few hours (to me it became samey!) It didn’t help that I went at the end of the day (late night opening until 10pm on some days) so was already tired. However, there were less people so I’d still do it again. If you have the card for 3 days, and enjoy full (but not too exhausting) days, I think you can fit in anywhere between 6-20 sights (I did 17 in 2.5 exhausting days). Some of the sights will take under 30 minutes e.g. Dante Church, others around an hour or more (e.g. Santa Croce church). With the card, you’ll probably find yourself pushing to see more, which I felt was a good thing. You might find my article on the sights of Florence useful: https://indianajo.com/2013/07/10-best-sights-inflorence.html Hope that helps. Have an amazing trip. Thanks Jo. What a great and well written article. Thanks, Billy. Glad you liked it. Many thanks for taking the time to do this!!! Very informative..will be in Florence for 7 nights in May..will use it as a base to go to the tuscan countryside for a couple of day tours…better option now for us in Florence is to Pay as we go rather than the Firenze Card.Thank you for your great posting and excellent information.. Thanks, Kristine. There was a lot to compare with the Firenze Card and I couldn’t find anything else like this online (which is what I was looking for when I was trying to decide whether to buy the card). Glad you found it useful. If you’re looking for a place in Tuscany to stay that has a small village feel, I’d really recommend Tavarnelle val di Pesa. I wrote about it here: https://indianajo.com/2013/12/tavarnelle-val-di-pesa-italy.html. Have a great trip! Really useful post. In Florence now (hardly any ques because it’s November!). and decided against the Florence Card. 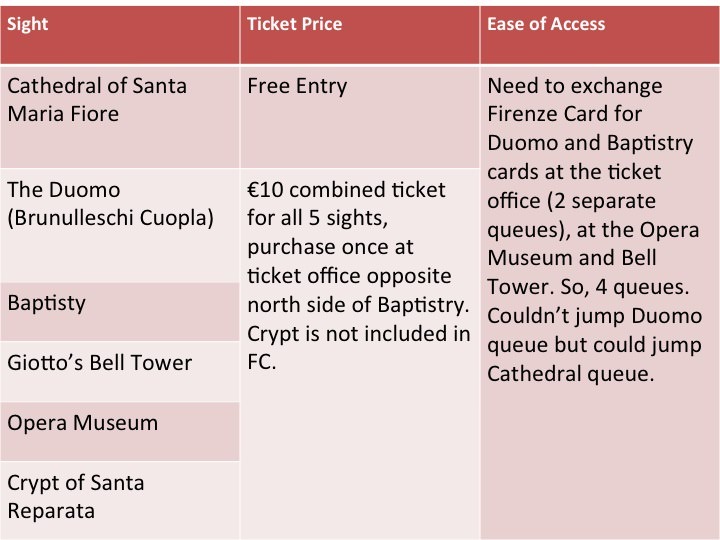 Just FYI Uffizi and Accademia are now €11 each on the door and with an extra €4 to reserve which does make the Florence Card a bit better value. As you mentioned, to get value out of the card you really have to smash those 3 days and I’m not sure how anyone could take it all in. I personally prefer single tickets for fewer sights which can be savoured, leaving enough energy for a beer at the end of the day! Hi CFO, I’m glad you found the post useful and, yes, cramming the sights into 72 hours is quite the mental, physical and emotional (!) challenge! Thanks for the update on the door entry prices. I just double checked the website and the price is still €6.50 plus €4 booking if you do it online making the turn up approach a bad idea moneywise, especially as most hotels offer wi-fi! Sigh – the idea of no queues in November, that must be quite nice 🙂 I’m back off to Italy next week but to a lesser known location – Urbino, which has been awarded Capital of Culture status for 2019 so more on that coming soon if you’re an Italy fan 🙂 Happy travels! This is a very informative post. We are in Flroence 3 days mid-October, but on one of those days we are on a small Chianti wine tour. Have decided the 72 euros is not worth it to see perhaps 3 museums. Will book Uffici and Academia online. Thank you. Hi Bruni, glad to be able to help. No, I doubt €72 is worth is for just 3 museums! Book booking online definitely will be. Have a great trip.